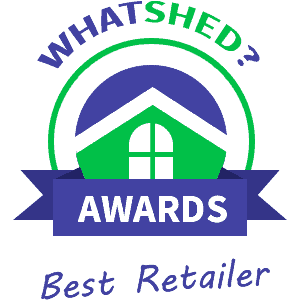 No matter if you want a greenhouse so that you can grow some delicious vegetables, look after some plants or just have a space to potter around so you can hide from the other half, we have for you right here the top 10 wooden greenhouse retailers in the UK. This was not an easy list to put together and we put each of these sites through their paces so we could see who offers the most user friendly experience and who also has the best selection of wooden greenhouses. well, which we thought was really nice. The site does a wonderful job in telling you the information you need to know and there are multiple photos that do a great job in showcasing the different wooden greenhouses. Purchasing your greenhouse from here would be a very straightforward experience and that is why they take our top spot. to look through other styles that you have zero interest in. We are very impressed with the way they describe their greenhouses as they manage to give you the vital information, but they do it in a way that is not boring or too jargon filled. In all this is a wonderful site and it actually comes really close to taking the number one position on our list. little bit easier. When you do find a wooden greenhouse that you are interested in, then we are sure you will be happy with the way they describe things, but a couple of extra pictures for each one would not have hurt. Still though, this is one of the most impressive selection of wooden greenhouses we have seen and if you do not mind a little bit of clicking around then you are really going to love this site. far to say that these guys do the best job in breaking down what materials are used and the benefits of them. If you do not know anything about greenhouses, then this site would be ideal for you as they make it very easy to know exactly what you are getting. your best bet for getting that kind of greenhouse. As these are more expensive wooden greenhouses, they have made sure to give you all the information that you need and also show them off with plenty of high quality photos. not make it as easy to just group all the wooden greenhouses together so you will have to scroll through all of the metal greenhouses as well. This is not the end of the world we know, but it is still a little more legwork than some of the other sites make you do. Once you do find a greenhouse that takes your fancy, then you will be very impressed and not overwhelmed with the way they describe it and showcase it with photos. be lacking so we were very happy and impressed with how in depth their descriptions of each greenhouse were, also they have plenty of pictures which really help you visualise just how awesome it would look in your garden. general the site is easy to use and the information they do give you is fine, but the small selection and the fact it takes so much looking around to find their wooden greenhouses are why they are close to the bottom of the list. you will be well informed about what it is you are looking at. One thing we must mention is the delivery times, as they do not stock the greenhouses themselves some of them have very long delivery times, sometimes as long as 11 weeks so keep that in mind if you want a greenhouse rather quickly. they do have is a charming mini greenhouse, but as there is only one there is no choice here at all and that is why we had to put Wickes at the bottom of our list.